Community learning disability nurse, Jade Pearce reflects on her role and the service she provides to patients. People seem to have so many opinions or make assumptions, about what community learning disability nurses do and what we do not do, that sometimes I am not sure myself. I often find myself in situations where I feel frustrated by the things I cannot do, for example take bloods, or change catheters, and have to make a referral to another colleague, usually a district nurse. I expect some patients and their families share those frustrations at times. Following a joint visit with a community occupational therapist (OT) from the local hospice, to a man with progressive cancer and his mother, both have a learning disability, the OT said ‘wow! Your job is varied.’ I found her comment interesting, considering that she had only spent a short amount of time with me and the family. As I drove away I reflected on what she might have observed that had led her to that conclusion. I had helped with her assessment by supporting communication between her, the patient and his mother. My face is familiar to them, which might have led to the patient and his mother sharing and engaging that bit more, or perhaps it was my willingness to run through how to use the catheter bag leg straps, and the breaks on his new wheelchair, several times. Knowing how to do these things meant that the man would be able to attend his club’s Christmas party that night, the first time he would be going out since his last admission to hospital five weeks previously. I also read out a letter from the hospital to the mother, and congratulated her on correctly following the procedure to reorder stoma bags, something we had been working on and she had now achieved. The OT is right, that her observations during a 30-minute visit demonstrated how varied my role is. I might not listen to chest sounds, or change dressings, or wear a uniform, but I do think that community learning disability nurses, with our specialist skills in epilepsy, dementia, or forensics, hold things together, and coordinate the wider teams involved in patients’ care. 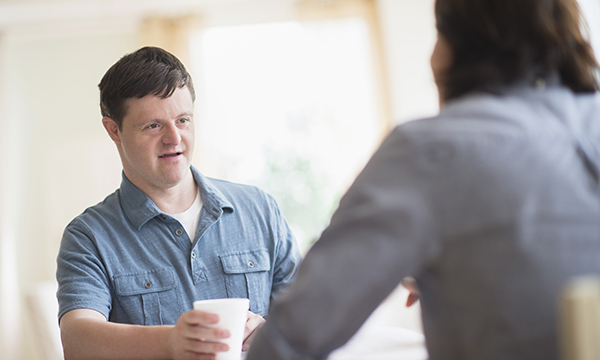 By doing this we ensure that people with a learning disability have access to the services and support they need, and are entitled to. We also provide support to people like this gentleman through what can be difficult, upsetting, and sometimes confusing parts of their, and their families’, lives, and which I believe would be more difficult without us. Finally, I believe that this diverse role, with its sometimes unclear boundaries and its ‘jack of all trades’ approach, is exactly how it is meant to be.